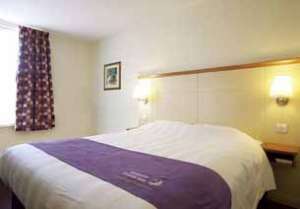 Premier Inn Cardiff East Budget HotelThe UK's number one hotel chain, Premier Inn guarantee clean, comfortable rooms and a friendly and efficient service - everything you need for a good night's sleep. All our hotels have restaurants serving tasty hot dinners and our-all-you-can-eat Premier Breakfast. Under 16s can stay and eat breakfast free.